Hey, TypeDrawers community! 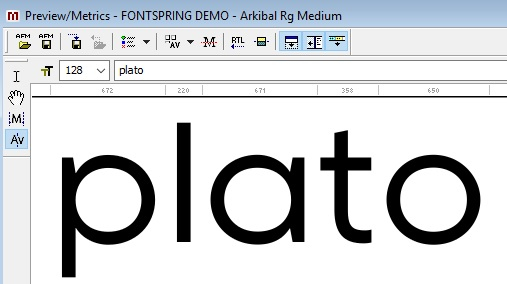 Our company Plato is interested in working with a professional type designer to help us select 1-2 fonts that pair perfectly with our new logo. We're also interested in developing a fully custom typeface as the second phase of this project so we'd be interested in connecting with folks who have experience with this as well. Hi Nate. It isn't clear from this post or from the link whether you are looking for an employee or to establish a working relationship with an independent type designer. I am assuming it is very p/t for stage 1, and contract work for stage 2. The title of the job post does say “freelance,” although it isn’t mentioned in the body. Whoever they hire ought to fix the optical issues in their logo, as well. Hi John and Thomas, thanks for calling this out. We're looking to establish a working relationship with a freelance/independent type designer.